Weekend is here and we hope the robot forgers are forging like mad. To keep you motivated there is another drop into the random prize pool of the Forged Hope Program. 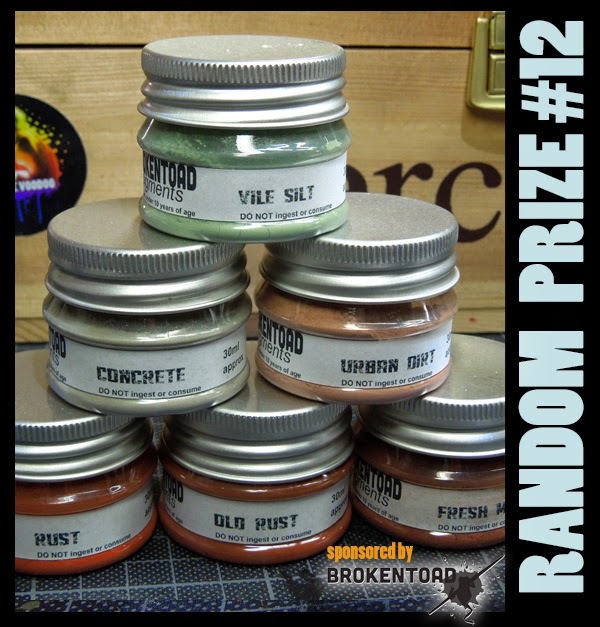 This time one lucky person who enters the contest will get six cool pigments from Broken Toad. The robot kits appear to be out of stock. Gutted! Had THE perfect idea for a bit of fluff. And now i´am in. Ordered my Kit at the shop mentioned above. I got it really fast, two days after i placed my order, just awesome. Now i have 30 days full of hard but enjoyable work. Rock it! May the forge father guide your plans and progress!